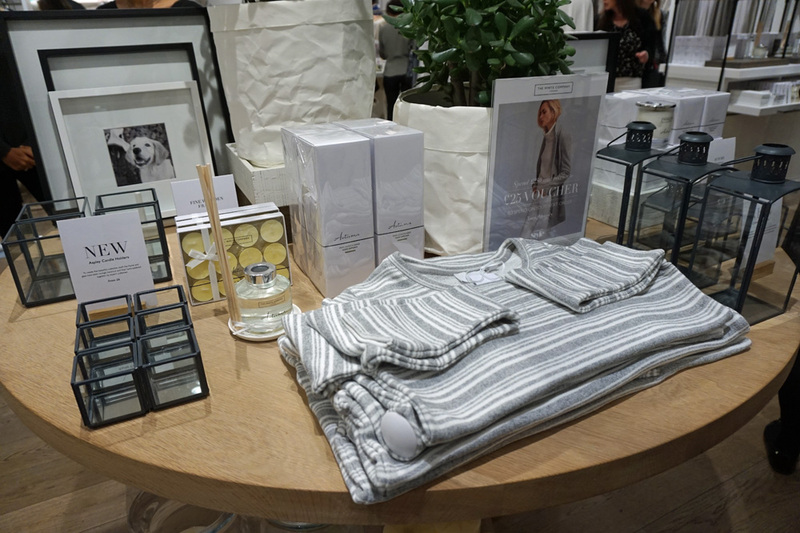 Whilst I was on honeymoon, I received an invitation via Style Birmingham to attend an exclusive evening event at The White Company in Grand Central, Birmingham. 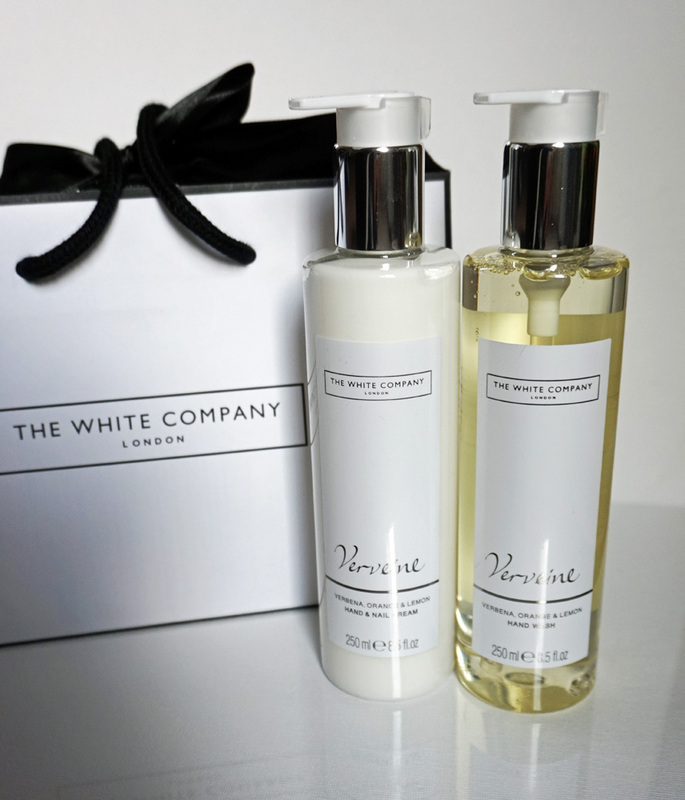 As I am a big fan of The White Company, I got really excited and signed up straight away. The event took place on Tuesday 20 September from 6:30 - 8:30 PM. As soon as I arrived, I was welcomed by some lovely people offering me a glass of Prosecco and some canapés. The shop was full with others and soon I did not feel out of place taking my camera with me because I was definitely not the only one! 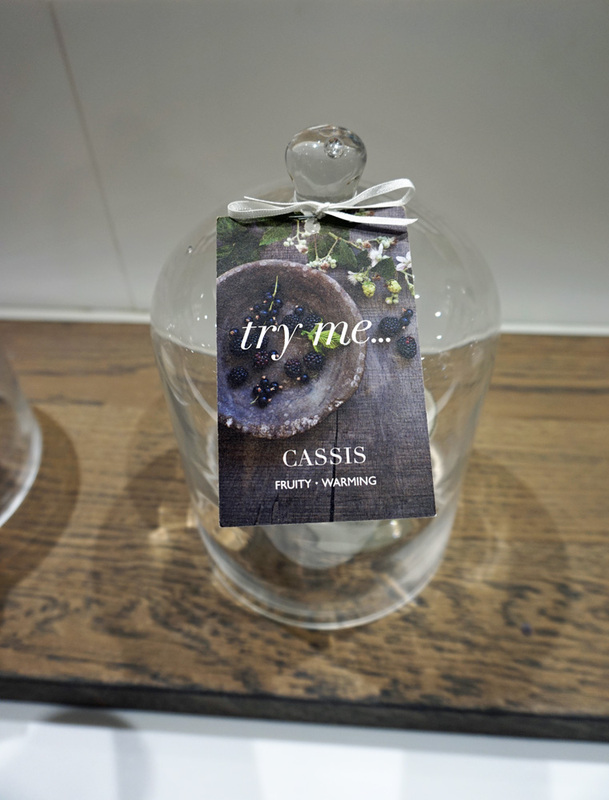 Whilst walking around, I noticed some cute little details like these glass domes that read 'Try Me'. The idea was to lift and smell the dome and it actually worked! 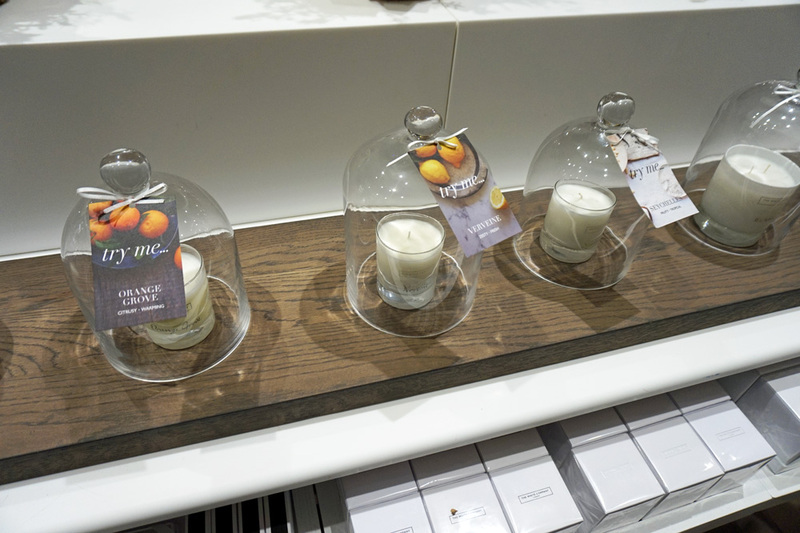 Great way to try out all the different scents. After having a look around the shop and admiring the new Autumn/Winter collection, it was time for clothing director Barbara Horspool to say a few words and talk us through the new collection. 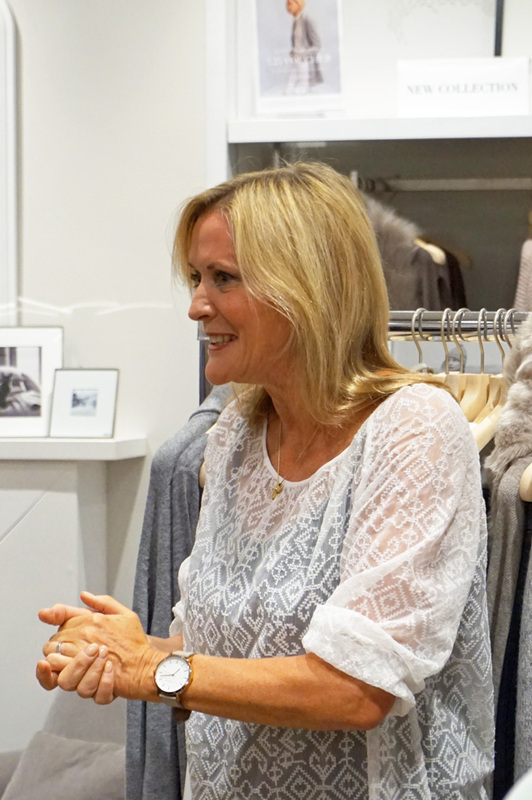 She started off by explaining how The White Company started and how Chrissie Rucker founded the company 21 years ago. "You should always dress so that when someone sees you, they would want to undress you." I guess this is kind of saying make sure you always dress to impress because you never know who you might run into. I really loved Barbara's talk and I could really feel her love for the company as I feel the same way. I ended my evening with a last glance at the bathroom and kitchen items (whilst dreaming of owning my own house one day..) and purchased some lovely white lavender bath foam and when I walked out, I also received a goodie bag with two full size items! 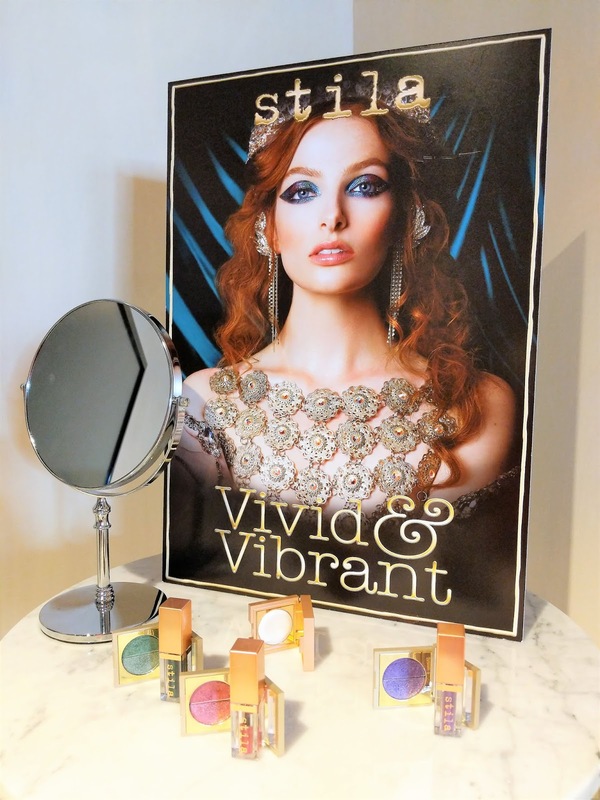 Keep an eye out for reviews of these beautiful items in the future! 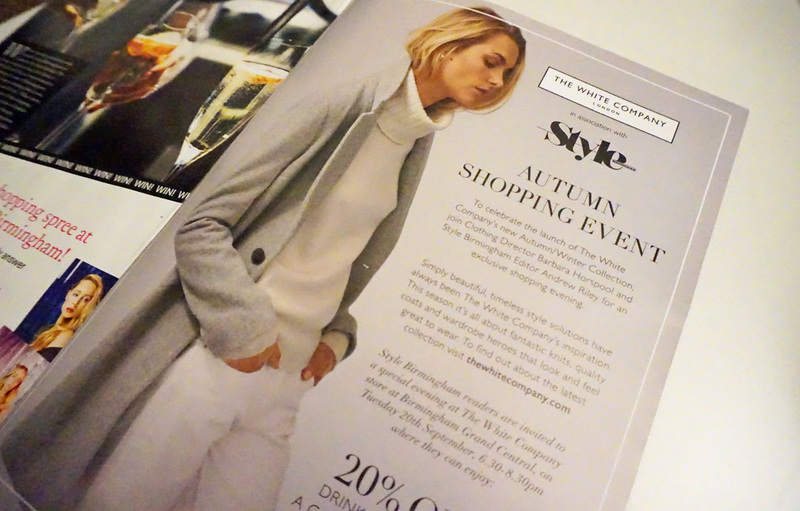 I really had a lovely evening, thanks The White Company and Style Birmingham! 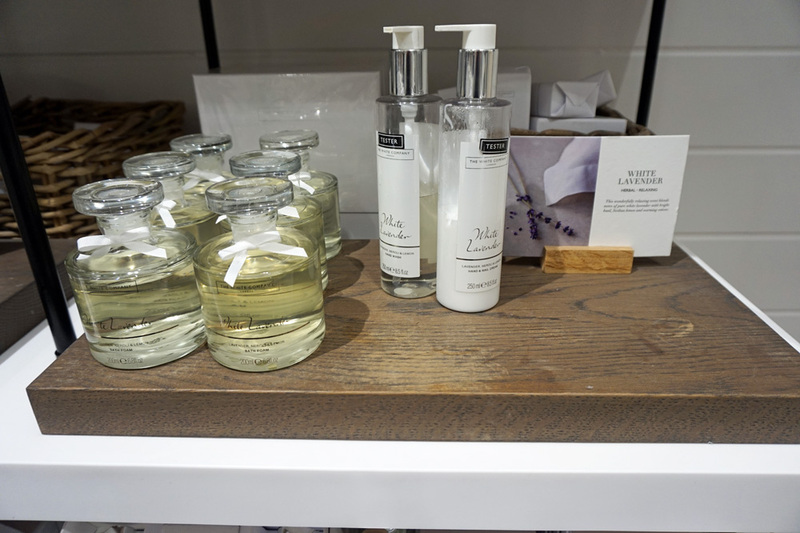 The new Autumn/Winter 2016 collection is now available at The White Company stores or online by clicking here. Grab your free copy of the latest Style Birmingham magazine at Grand Central or read it online here. Have you been to any good store events recently or do you want to share your experiences with the new collection? 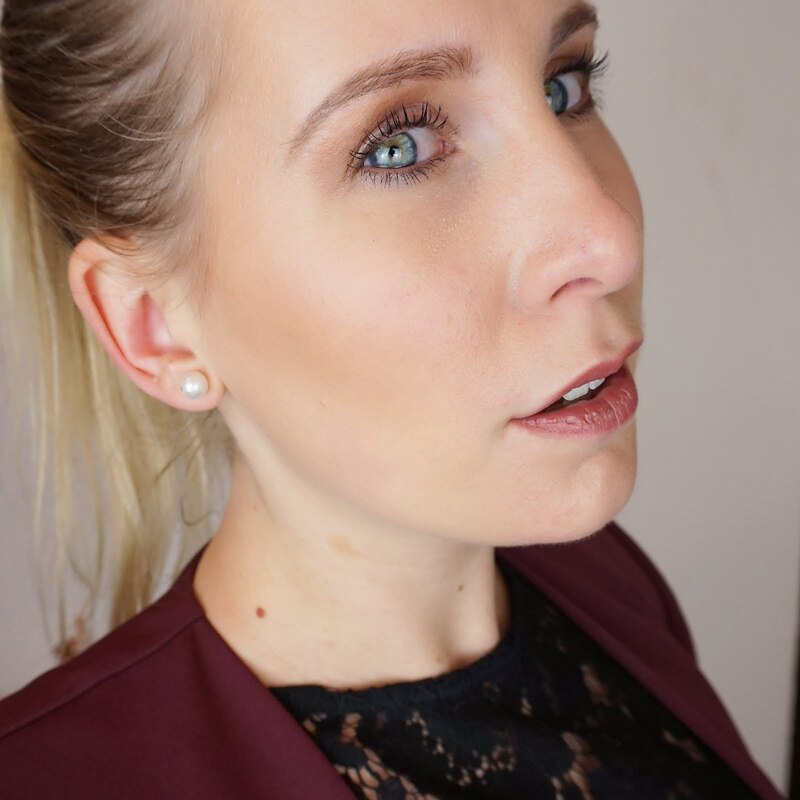 I would love to hear what you think, so please leave a comment below! 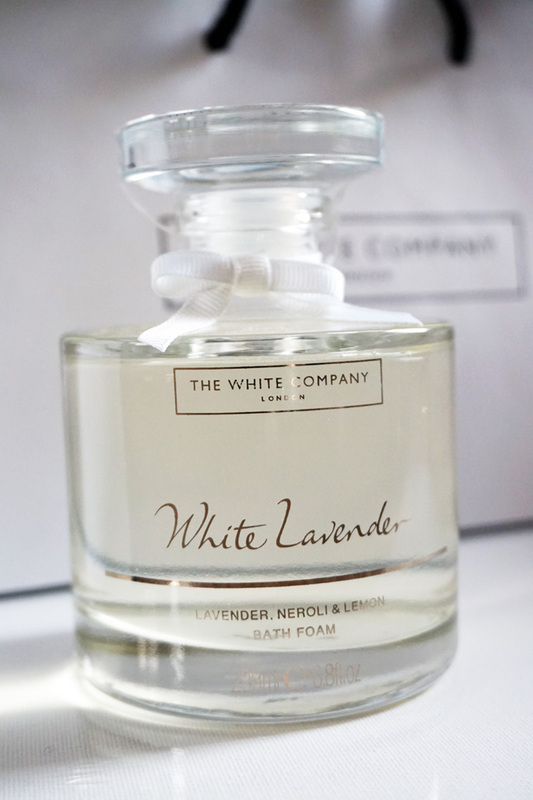 I am a huge fan of The White Company and usually buy items when they are on sale or offers. I love that their products always give a feeling of clean, fresh and peace.